Free transport is provide to all pupils within the school’s catchment area who live more than three miles from the school. For Faith reasons, pupils living within eight miles also qualify. Such pupils are issued with season tickets by Pembrokeshire Education Authority for the relevant buses. 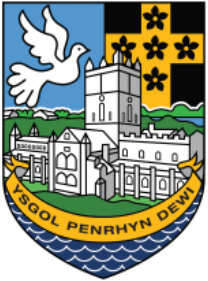 Parents wishing further information should contact Pembrokeshire Education Authority. School transport may have both CCTV video and audio recording equipment installed for the protection of pupils, adults and property. 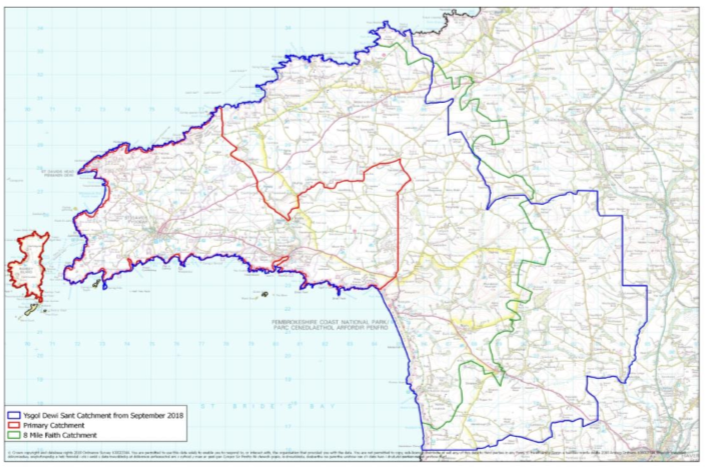 The map below shows the catchment areas for Ysgol Penrhyn Dewi, identifying the secondary phase, primary phase and 8 mile faith boundaries.